Designing for Milk & Cookie connoisseurs from down under. My partner in crime (Deanna) owns a hip little cookie shop called Moustache Milk & Cookie Bar and their cookies are the bomb. Since I am clueless when it comes to running a business, I try to make myself useful by doing bits and pices of design work whenever she needs them. The bus goes on a nationwide tour during summer, so as part of that I have been designing social media posters when needed. 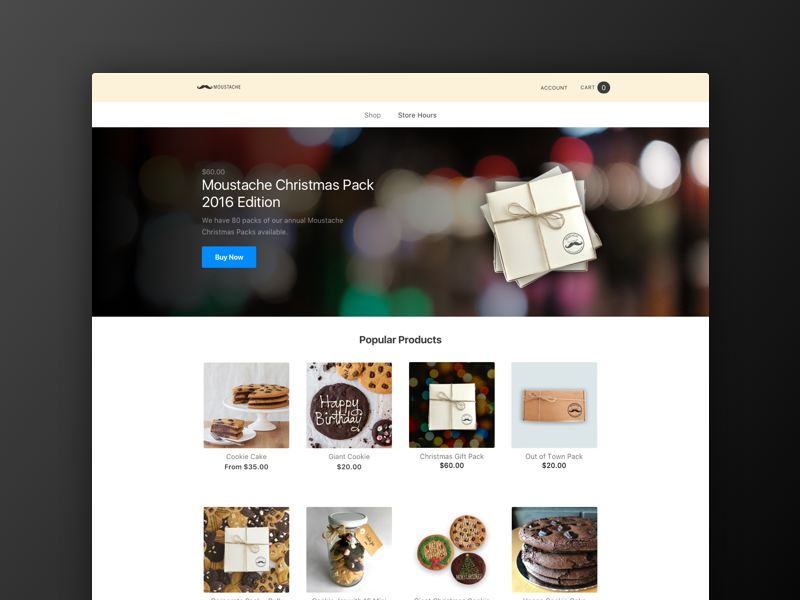 The online store is running on Shopify, and I've created a custom theme on top of their awesome Timber Development Framework. Deanna often comes up with crazy ideas for the market, and we've been doing packaging design ourselves.